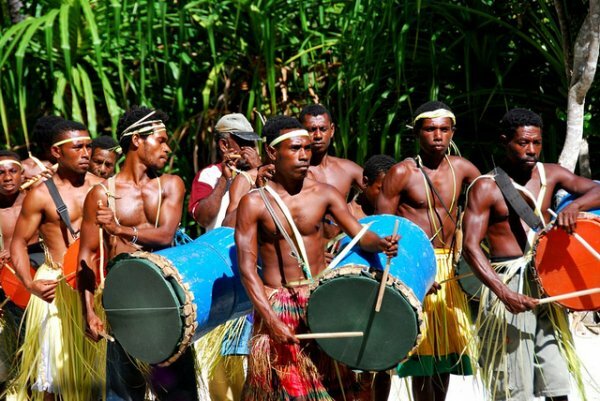 On 1 December 2015, West Papuans celebrated their nation, 54 years on from their first declaration of independence in 1961. Residents of West Papua and members of its diaspora joined together to commemorate the occasion. West Papuans living in Papua New Guinea today have joined hands with the rest of the world in commemorating their National Day at Jack Pidik Park in Port Moresby. This event marked West Papua’s 54 years of independence proclaimed in 1961 prior to Indonesian rule. West Papuan residents of Port Moresby, Non-Governmental Organisations and Civil Society Coalition Partners, joined hands with fellow West Papuans living abroad to commemorate their national day. Embracing the slogan Free West Papua Merdeka, which means independence for West Papua, the people displayed their true identity with dramas and traditional song performances, which symbolise West Papuan nationalism and their plight to push for independence. This event coincided with the rising of the morning star which reminiscent of December 1, 1961 when the Dutch recognised their right to self-governance. However, until 1969 when Indonesia took annexation over West Papua, they have been denied freedom for independence. It was commemorated with the theme ‘West Papua Cultural Festival My Cultural and language is my Identity’. The West Papua National Day is celebrated every December 1 worldwide, with the prospect of raising the morning star flag that symbolises West Papua as a nation.